Are you prepared for World Backup Day? Sunday 31st March 2019 is World Backup Day. 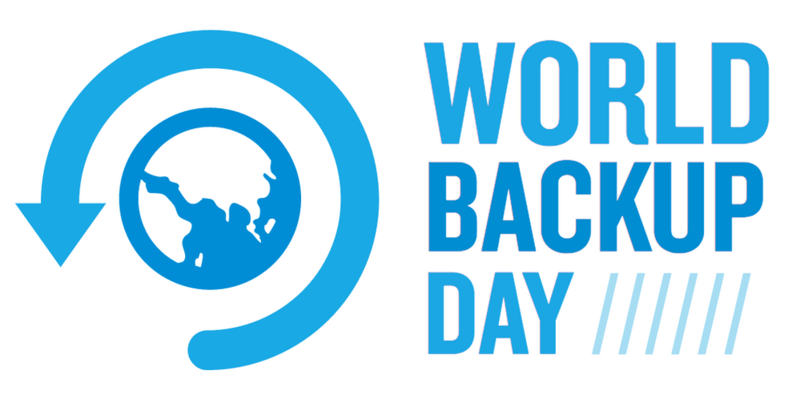 World Backup Day is an annual event for people to learn about the increasing role of data in our lives and the importance of regular backups. According to statistics, 29% of disasters are caused by accident and 1 in 10 computers are infected with a virus each month. Losing your valuable files is more common than you think and can be caused by several scenarios such as theft, user error or a hardware failure. With paperless solutions becoming increasing popular in the hospitality industry, it is important to ensure you have adequate protection in place. A backup refers to creating a second copy of all your important files such as photos, documents and emails, ensuring you have a way to recover your files if they are ever lost. The second copy can be stored on an external hard drive or online file hosting service such as OneDrive or Dropbox. The process is quick and easy but could be indispensable if something goes wrong. If you already have a system in place, use WBD the day to test the backup is working correctly and has enough storage capacity to handle your volume of data. We also recommend implementing a data protection policy in the workplace. At acomos, we believe every day should be a backup day. Our hospitality booking software provides you with automatic hourly data backups to the local network and performs an end of day backup to the acomos network. To find out more about how acomos can protect your data, sign up for a free trial today.